In today’s modern climate of highly paid footballers, fans outside of England are deprived of one of the game’s greatest pleasures, namely the wandering superstar. Gone are the years when George Best or Stanley Matthews would spend their summer playing for teams in South Africa and gone are the years when smaller footballing leagues could attract superstars at a reasonable price. There was once a time when the League of Ireland could attract the likes of Gordon Banks, Dixie Dean and even Sir Bobby Charlton. Many football aficionados will know stories of Pelé playing for the New York Cosmos, Gerd Müller playing for Fort Lauderdale or Eusébio togging out for the fabulously named Boston Minutemen. Yet few have taken the time to look closer at the British Isles in search of stories of the wandering star. Despite having played 606 games for his club and 106 times for his country, Charlton said goodbye to his beloved Manchester United in 1973. Having won the World Cup, the European Cup and several domestic leagues and cups over the course of a 20-year spell with the club, many would have forgiven him for hanging up his boots there and then. Like many others from his generation, however, Charlton decided to continue playing. Charlton’s brief spell away from Manchester is rarely discussed nowadays, but at the time it was a source of delight to the clubs he graced. 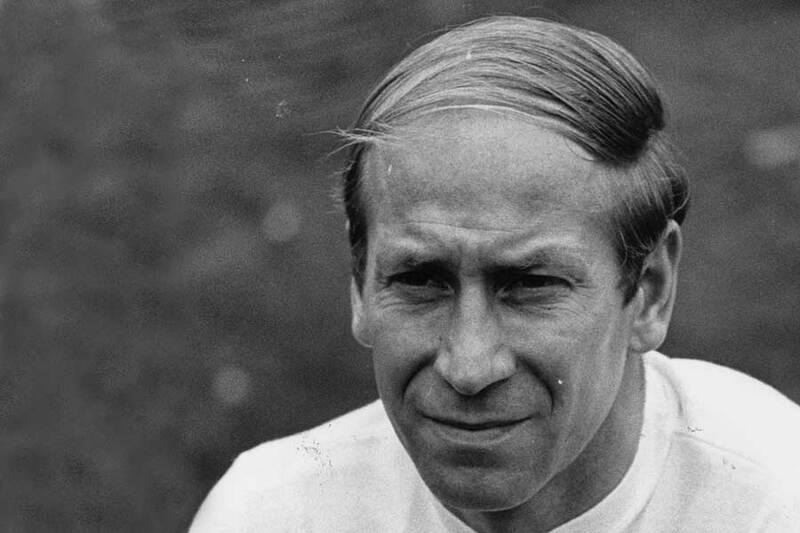 In 1974 Charlton moved to Preston North End, where he became manager with his former team-mate Nobby Stiles accompanying him as player-coach. The club’s fans were delighted to have two England legends taking over the club, but emotions soon soured. Charlton’s first season in charge saw the Lancashire club relegated to the Third Division. The following season wasn’t much better, with Bobby falling out with the club’s board over a proposed move for Newcastle United defender John Bird. Relations became so cold with his employers that Charlton eventually left with little idea of where to go next. His first foray as a manager hadn’t exactly set the world alight and question marks were being raised about his ability to lead a team from the touchline. In early 1976, two years before Pelé joined the New York Cosmos, Charlton made his own groundbreaking transfer to a developing football league in search of superstars. It wasn’t the North American Soccer League, nor was it an exotic European league, but rather somewhere a little closer to home; namely League of Ireland side, Waterford United. Charlton’s arrival at Waterford was announced following the club’s 2-1 defeat to Limerick City on 11 January 1976. The game itself had been a drab affair and fans’ spirits were only lifted with the incredulous news that a former World Cup winner would soon be playing in Ireland. The first question on many peoples’ lips was understandably, how much? Joseph Delaney, the Waterford chairman responsible for the move, revealed that the length of Charlton’s contract depended on the response of the Waterford public and whether other clubs would pay a percentage of their gate receipts when Waterford and Charlton came to town. Thus, Charlton’s arrival was not just big news for Waterford; it was big news for the entire league. Charlton’s debut came at home against St. Patrick’s Athletic on 18 January. The gate receipts at Waterford’s Kilcohan Park that day totaled to an impressive £1,900. To put that into context, the side regularly pulled in much less than £1,000 per game pre-Charlton. 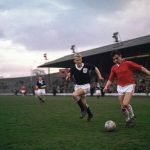 It was a marked improvement for the side, although it paled in comparison to the £5,000 George Best generated for Cork Celtic on his debut. There was one important difference, however, between their debuts. Charlton had played well, whereas Best floundered. Dispelling any doubts about his ability, Charlton produced a virtuoso display on his first outing in the Irish league. Situated at the heart of the Waterford midfield, he was at the centre of the action throughout the game. St. Pat’s had taken an early lead, but when Charlton was fouled in the penalty area soon after, Waterford’s Mick Leech equalised from the spot just before half time. Later in the second half, Charlton was instrumental in the move that gave Waterford the lead after 71 minutes when he set up McCarthy to score from 25 yards. The record gate never came, but 6,000 fans braved snowy conditions to watch Charlton in action. They were not disappointed. Once again Charlton proved himself a cut above the rest and even managed to score a goal in Waterford’s convincing 3-1 victory. Match reports suggested that Charlton, despite being well into his 30s, was easily the fittest player on the pitch. Unfortunately Charlton’s time at Waterford was drawing to a close. The payment scheme agreed between the club and player soon proved to be untenable. Away clubs were refusing to give Waterford a percentage of their gate receipts in return for Charlton’s presence. Matters came to a head on February 8, when Waterford travelled to Bohemian’s Dalymount Park for a League of Ireland clash. Charlton had only announced that he would be available to play the day before the game after issues were raised about compensating the player. Doubts about whether or not he would play severely impacted the number of spectators who turned up for the game. Only a handful of fans turned out to see Waterford lose the game 2-0 and gate receipts totaled a paltry £793. Incensed at what they perceived to be Waterford’s mistake, Bohemians refused to share any of the income with Waterford. This put Waterford in a difficult position. They had promised Charlton a percentage of the gate receipts for every game. Bohemian’s decision put them out of pocket. It soon became clear that Charlton’s contract was no longer feasible. 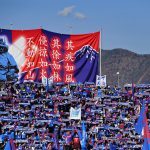 Gate receipts, while improved, had not been what was hoped. Similarly, the refusal of clubs to share the receipts for away matches impacted Waterford’s ability to compensate Charlton. In late February, Charlton lined out for Waterford United for one last time in a cup match against Finn Harps at Ballybofey. Charlton was once again the best player on the pitch but sadly it hardly mattered. Waterford struggled to break the Finn Harps defence and eventually lost the game 3-0. After three league games and one cup match, Charlton returned to England where, after a brief sojourn as director and caretaker manager of Wigan Athletic, he was eventually appointment to Manchester United’s board of directors. Having held this position since the early 1980s, he is once more synonymous with the club. Charlton’s time in the League of Ireland may have been brief but it left a lasting impression for fans of the Irish game. While for some of us, his Waterford United career represents a fun pub trivia question, for others it was much more meaningful. For those who saw the great man in the flesh, his short time with the club was simply magical and lasts long in the memory.